We conduct executive searches in Washington, DC and nationwide, in every functional area and for every career level — primarily for associations and other nonprofits. Our clients say we’re disciplined and strategic in our approach. 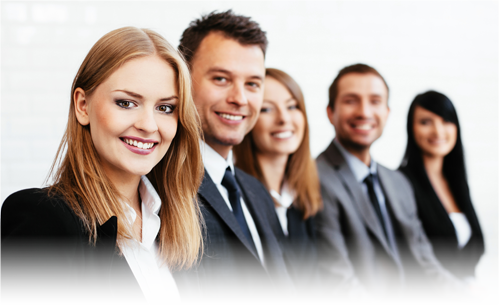 We have worked with Staffing Advisors on over 15 recruitment efforts. We like using them when we need a focused outreach and marketing effort or to supplement our internal recruitment team. Through their very effective outreach and marketing efforts in combination with their dedicated project managers, they have been able to deliver a talent pool for a diverse range of profiles. In addition they are able to integrate their efforts with our applicant tracking efforts and that makes it easy to fulfill our compliance requirements. As a leading non-profit organization in the fight to eliminate childhood hunger, attracting talented development professionals is a critical element of our business model. Staffing Advisors has done an exemplary job of learning about the culture and working environment of our organization, understanding the skills and approach for what makes for a successful development talent at Share Our Strength and providing superb advice. The Staffing Advisors team has continuously impressed us with the caliber of candidates presented and the strong fit of the candidate pool with our organization. They have been an invaluable partner throughout our recruiting process for senior development talent. I give them a “10” for the results they have delivered and their working relationship with our team during the process.